Bradford Bishop was born in 1936. He graduated from Yale in 1959 with a BS in History and, based on some reports, a bachelor’s degree in American Studies. He then went on to earn an MA in international studies and a master’s degree in Italian from Middlebury College. He also earned a master’s degree in African Studies from UCLA. After graduating from Yale, Bishop married his high school sweetheart, Annette Weis. Together they had three sons – William III, Brenton and Geoffrey. After Yale, career-wise, Bishop pursued a life of service and joined the US Army. He spent four years working in counterintelligence. He learned to speak fluent French, Serbo-Croatian and Spanish along with the English and Italian he already spoke. After his time with the army came to an end, Bishop joined the US State Department and served in Foreign Services, taking many postings overseas in places like Verona, Milan and Florence. In Florence, he once again pursued academics, taking up post-graduate work at the University of Florence, and I will never know what it’s like to be this intelligent. That’s kind of a bummer. In 1972 he left Italy and served at posts in African countries including Ethiopia and Botswana. In 1974, Bishop was assigned a new post, this time in Washington D.C. The family left Botswana and moved back to America. 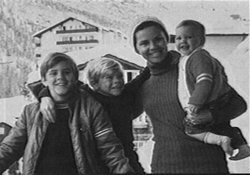 Annette, their three sons and his mother, Lobelia, settled in Bethesda, Maryland. Sometime in early 1976, Bishop was denied a promotion he felt he deserved. Despite colleagues offering commiseration that most of them had also been denied promotions, and the higher-ups explaining that their funding just didn’t leave any room for raises, Bishop took the “rejection” with less than the typical fortitude he was known for. Colleagues said his bad mood slowly took over, and not only was he complaining about the promotion failure, but he also griped about constant fights with his wife, Annette, and his 68-year-old mother, Lobelia. He said both women were nagging him for being “washed up” and “treading water” at his job, in other words, going nowhere. The working theory about what led to the tragic events on March 1, 1976, is that the promotion disappointment combined with any perceived issued at home with the women in his life pushed Bishop over the edge. Multiple motivations have been batted around. Reports have indicated that Bishop was experiencing financial troubles, but there is disagreement about the severity. The Washington Post reported in 1986 that the issues were “mild” and “familiar to most upward mobile families.” John E. Douglas described them as “nothing terribly unusual for people in their thirties living in that kind of neighbourhood.” In 2013, Bethesda Magazine reported that the IRS had been auditing the family due to financial troubles, but that has never been confirmed. At the time of the murders, Bishop was living with depression and insomnia. He was taking Serax (oxazepam) to help with treatment. Instead of going to a clinic, Bishop went home, but he made four stops along the way first. His first stop was to his bank where he withdrew several hundred dollars. Second, he went to the Montgomery Mall. Here he purchased a sledgehammer and a gas can. Third, across from the mall was a gas station. He stopped here and filled up the gas can, as well as his station wagon. Fourth, he drove to Poch’s hardware store and bought a shovel and a pitchfork. After his shopping trip was complete, he headed home and, police believe, arrived between 7:30 and 8PM. It is believed he killed Annette first, bludgeoning her with the sledge hammer. She was found beside a book she was in the middle of reading. Next, fourteen-year-old William, ten-year-old Brenton and five-year-old Geoffrey were killed in their beds. Bishop killed his mother last, catching her as she returned home from walking the family dog. And I know what you’re thinking, but don’t worry, the dog was fine. After his family was dead, Bishop loaded each body into his Station Wagon and drove all night to a densely wooded swamp about five miles outside of Columbia, North Carolina. When he arrived it was early morning on March 2nd. In the swamp, Bishop dug a wide but shallow hole and piled the bodies in. He then doused them with the can of gasoline and lit his dead family on fire and left the scene. A North Carolina forest ranger noticed heavy smoke billowing into the sky and headed out to investigate. The grisly scene he discovered was reported to local police and an investigation was quickly underway. Found with the bodies were the gas can, the pitchfork and the shovel that Bishop had bought from Poch’s Hardware. It still had the label on it and police were able to trace it back to the local Bethesda store. Further, some of the victims’ clothing had labels from an expensive department store in Bethesda. North Carolina police reached out to Bethesda police, but at the time, no missing persons reports matched the victims. Six days later, a neighbour of the Bishops contacted the police, suspicious of their sudden absence. When police arrived at the home, they found blood on the front porch. This was reasonable cause to enter the home. Inside, police found more blood in the entrance, the hallways and up the stairs. In the bedrooms, blood was splattered everywhere, even the ceiling. Police recalled the inquiry from the North Carolina police days earlier and reached out to possibly connect the cases. 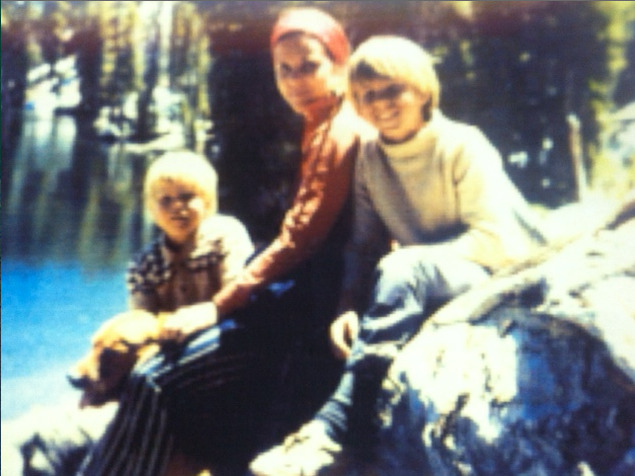 The burned bodies found in the swamp were identified as the Bishop family through dental records. A search of the family home revealed Bishop’s Smith & Wesson M&P .358 Special was missing, as well as his Yale class ring. He is also believed to have taken his diplomatic passport with him. The family’s passports were all found at the home, but his was not. On March 18th, his 1974 Chevy station wagon was found abandoned at the Great Smoky Mountains National Park in Elkmont, Tennesse, roughly 400 miles (640 kms) from the Columbia-area burn pit. Upon investigation of the car, police found dog treats, a bloody blanket, a shotgun, an axe, a shaving kit with Bishop’s medication inside and receipts for the purchases Bishop had made the day before. The trunk’s spare-tire well was full of blood. A hiker witness believed the car had been dumped there sometime around March 5th. Known for being an avid outdoorsman who was in good shape and liked to camp and hike, police theorized that Bishop had joined the flow of hikers on the Appalachian Trail to disappear and live in the wilderness. They attempted to pick up his scent using bloodhounds, but had no success. On March 19th, a grand jury indicted Bishop on five counts of first degree murder. Bishop had approximately one week of advanced time before the police truly began searching for him. With his diplomatic passport with him, money, a pilot’s license and his intelligence training to lean on, it’s widely accepted that Bishop fled the county without detection. Since his disappearance, there have been several alleged sightings of Bishop in various European countries like Italy, Belgium, the UK, Finland, Germany, Greece, Switzerland, the Netherlands and Sweden. In July 1978, a Swedish woman who had worked with Bishop when he was posted in Ethiopia, spotted Bishop twice in Stockholm. She was absolutely certain it was him, but didn’t report it to police because she didn’t realize he was a fugitive. The body of John Doe, suspected to be Bishop. Photographed in 1981. In January 1978, a former U.S. State Department colleague of Bishop’s used a bathroom in Sorrento, Italy. As he entered, he acknowledged a bearded man who he was certain was Bishop. The witness said, “Hey, you’re Brad Bishop, aren’t you?” The man panicked, responding “Oh, no” in a distinctly American accent and then swiftly left the restroom. Witnesses outside saw the bearded man flee into an alleyway. In Basel, Switzerland on September 19, 1994, a former neighbour of Bishop’s in Bethesda was on vacation and reported she had seen Bishop on a train platform. As of 2010, authorities believe that Bishop was living in Switzerland or Italy, or possibly California, where he may have worked as a teacher or become involved in criminal activities. In 2014, the body of an unidentified man resembling Bishop was exhumed by the FBI after being killed by a car as he was walking along an Alabama highway in 1981. A DNA test proved the dead man was not Bishop. 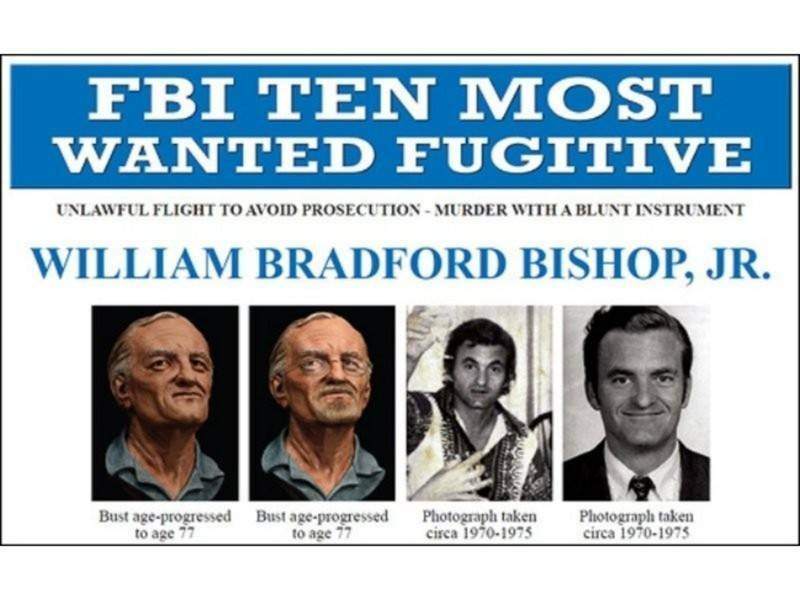 On April 10, 2014 Bishop was added to the FBI’s Ten Most Wanted List. Later that year, the FBI requested that forensic artist Karen Taylor created an age progression sculpture of project Bishop’s appearance at age 77. Using the sculpture, several images were created to show Bishop’s appearance with different glasses, hair and facial hair. The FBI is still actively pursuing the case and any tips that come in, but in 2018, Bishop was removed from the Ten Most Wanted List to make room for other more immediate offenders. So tell me, do you recognize Bishop? Posted on April 2, 2019 April 2, 2019 by Krystin RachelPosted in First Degree, Homicides, Missing & Unsolved, True CrimeTagged book, Book Blog, Book Blogger, Book Review, book reviewer, book reviews, Books, Bookstagram, bradford bishop, Crime Fiction, Goodreads, Horror, Mystery, suspense, Thriller, True Crime, True Crime Blog. As usual I adored the tone of your post, well done and so funny! Thank you!! Trying to find the right balance between darkness with a little levity. But no one wanted that dog to die lol. Incredibly disappointing he is still potentially alive and well after all of that! What an @$$hole. Also, glad the dog made it but interesting THAT is where he drew the line?? Fascinating case! And the fact that he had intelligence training makes it so much worse/better. Like it’s way more interesting, but omg he’s gotten away with this for SO LONG.